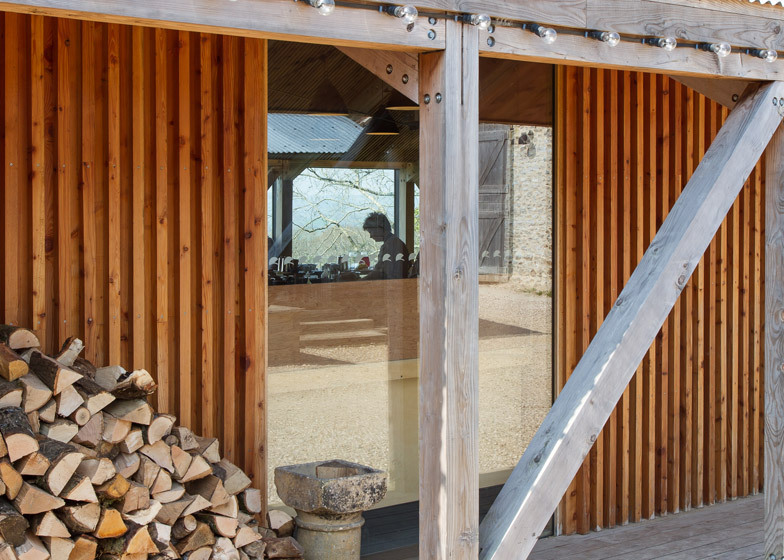 A cookery school is housed behind the glazed facade of this contemporary shed, recently completed by Satellite Architects at the headquarters of British TV programme River Cottage (+ slideshow). 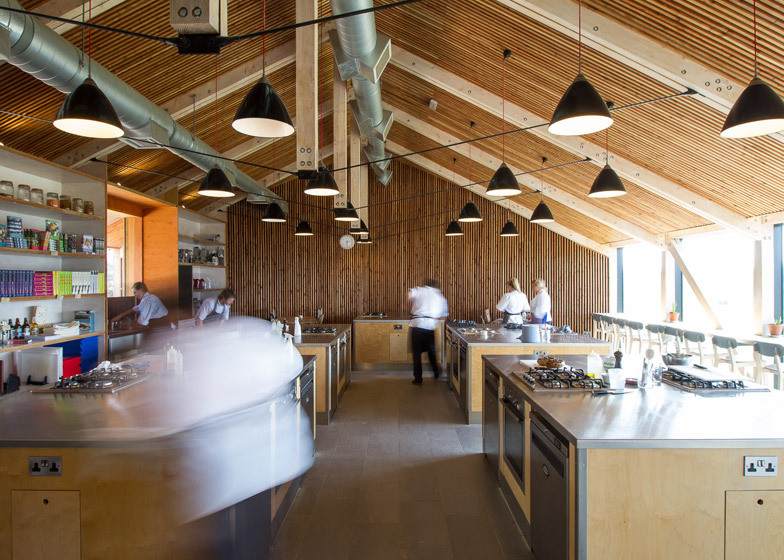 Located in Devon, south-west England, the River Cottage Cookery School is one of five buildings that will make up the new headquarters for the business that has built up around the programme. 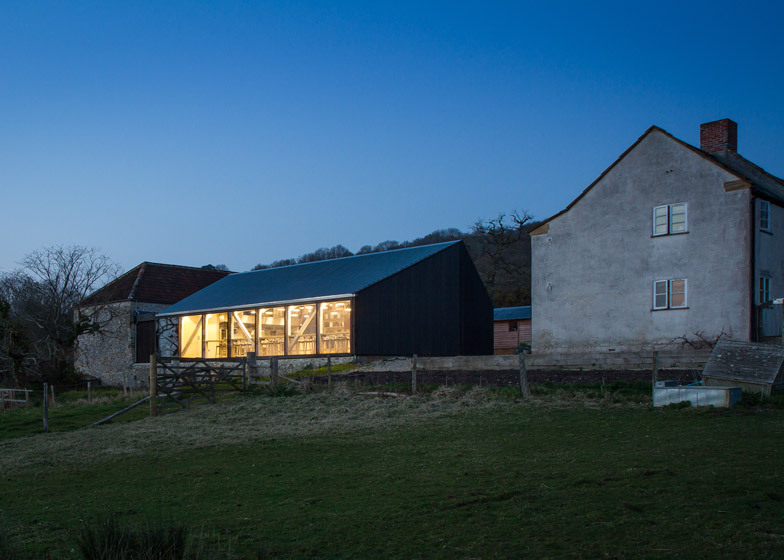 Fronted by chef Hugh Fearnley-Whittingstall, River Cottage aims to promote sustainable farming and cooking. 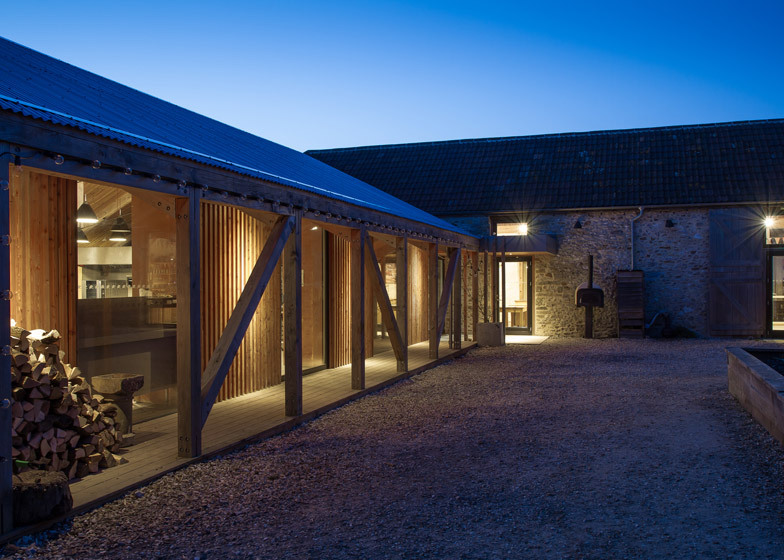 So far Satellite Architects has renovated three existing structures, but the cookery school is the first new addition to the rural site. 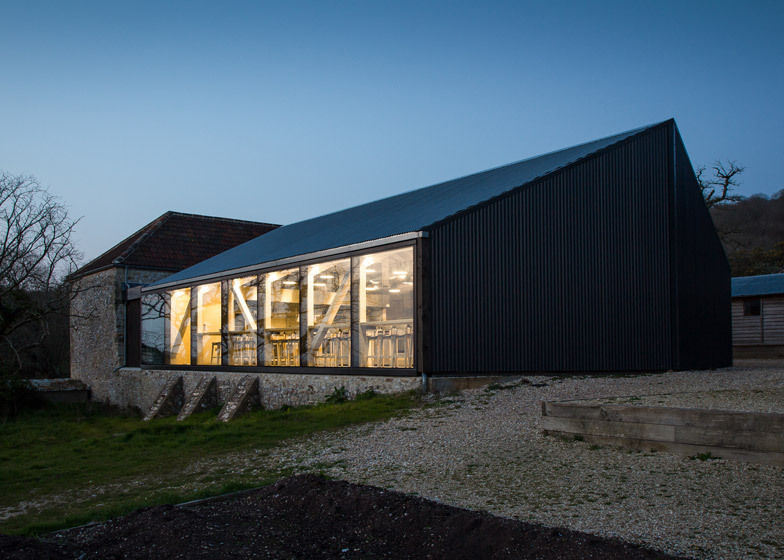 It comprises a single-storey gabled structure featuring corrugated cladding, an informal colonnade, and a wall of glazing facing out over the surrounding countryside. 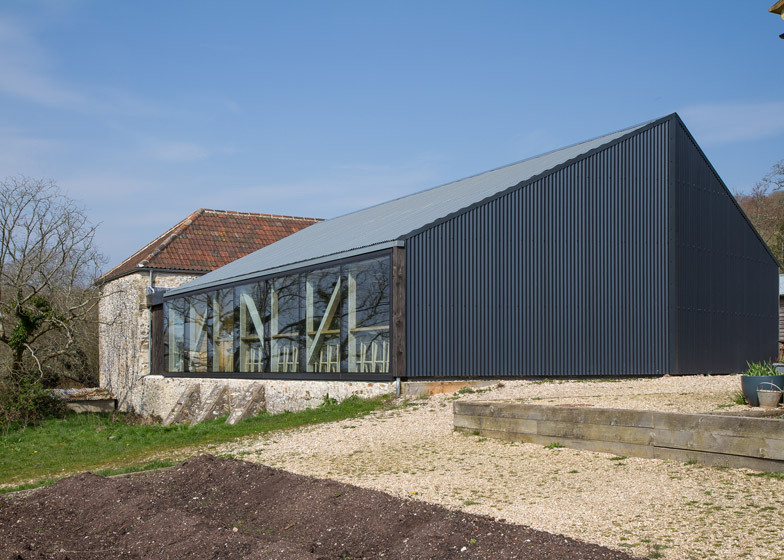 The aim was to create a contemporary building that references the language of agricultural barns and sheds. 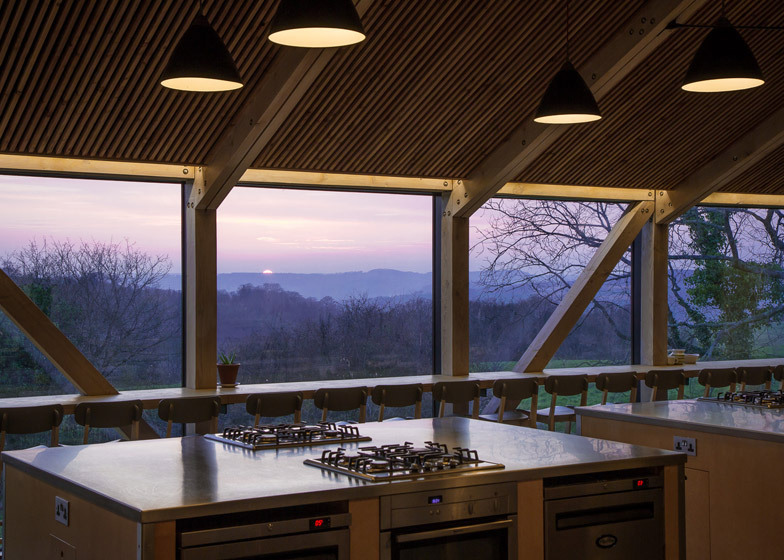 "The project combines restoration and refurbishment of a traditional vernacular with a variety of new high-quality designed buildings that employ sustainable materials and technologies," explained architect and studio founder Stewart Dodd. 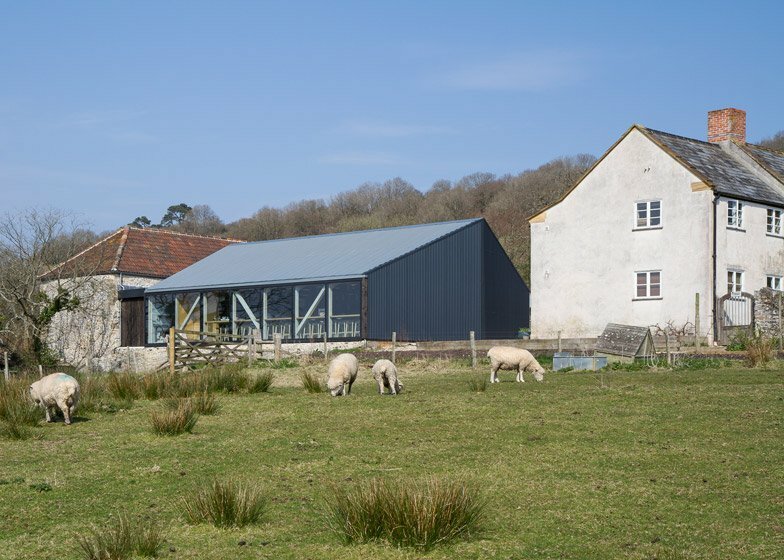 "The new HQ will unite contemporary ecological architecture, built with local materials and local labour, with the unique Devon architectural character of the existing farm buildings," he said. 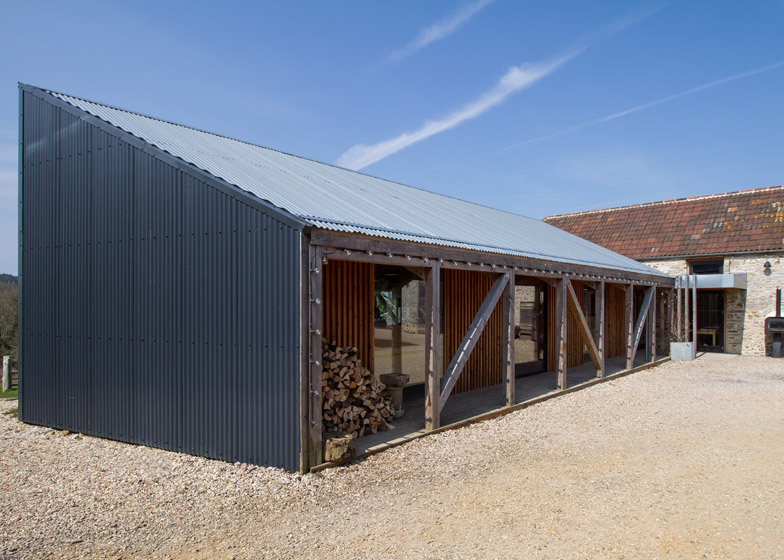 Panels of corrugated fibre cement create a ridged surface across the walls and roof of the building. Behind this, a wooden structure of Douglas fir columns and trusses is left exposed, while internal surfaces are lined with larch. "We used local labour to stay true to the original buildings, employing locally sourced sustainable materials," added Dodd. 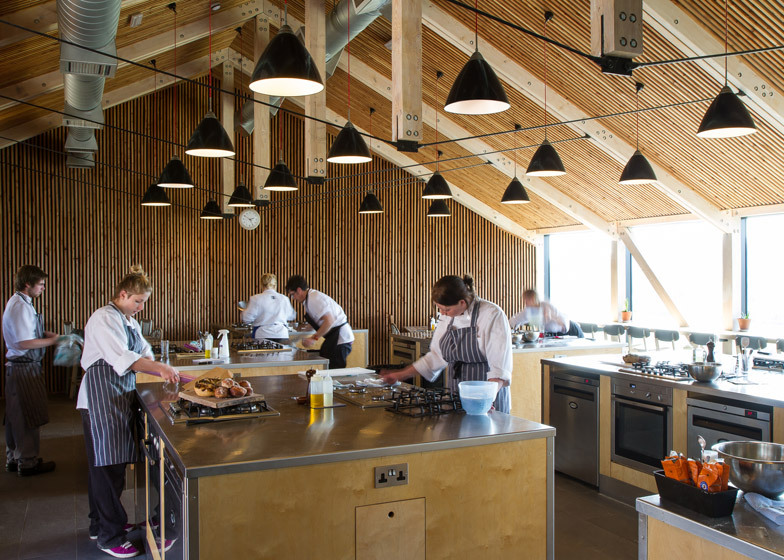 Wooden islands with stainless steel surfaces, cooking hobs, ovens and fridges furnish the building – creating the workspaces for cookery classes with an emphasis on local, seasonal produce and a "nose-to-tail" approach. Pendant lights hang down from the ceiling to highlight each workspace. 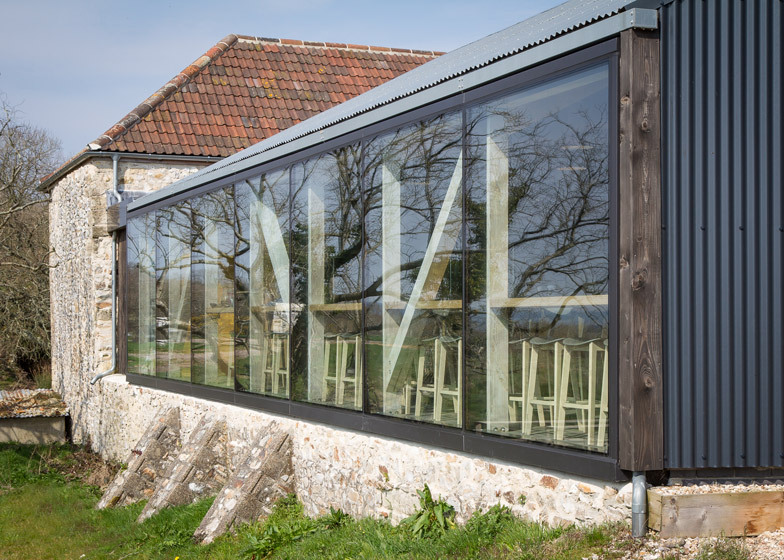 There is also a seating area along the glazed wall, offering visitors a view of the landscape while they eat. The final building to be constructed on the site will be a guesthouse allowing cookery students to stay overnight. 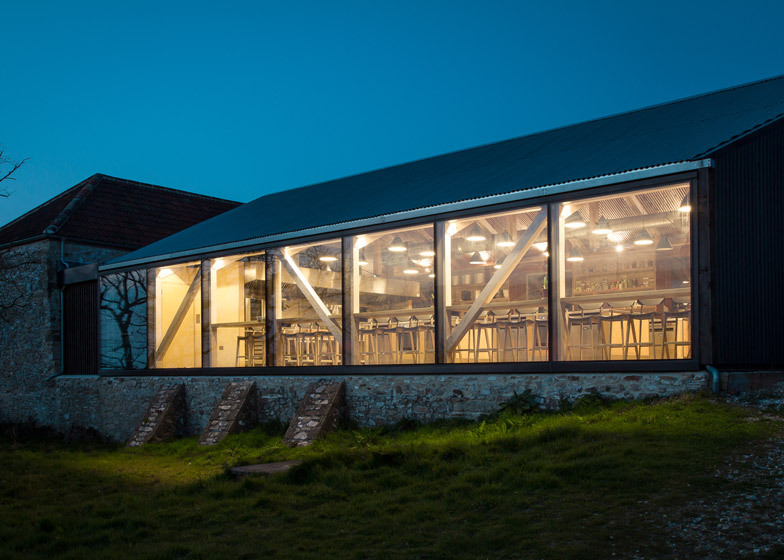 The three already-complete renovations include the restoration of a historic villa, the conversion of a derelict barn into an events space, and the adaption of an old shed into a utilities building. "It was a masterplan from the outset," explained Dodd. 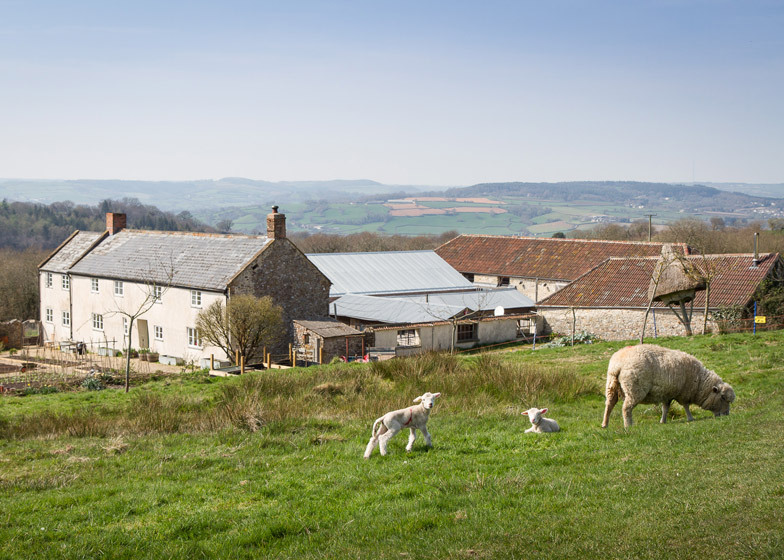 "Hugh Fearnley-Whittingstall and his fellow directors asked us to come up with a long-term development plan for a highly environmentally sustainable approach to building in a rural setting." Photography is by Alex Campbell.